Danni Brennand posted the above article this morning, regarding how accessibility is often taken to mean providing wheelchair ramps, rather than making sure services are accessible to people who cannot reach them at all and cannot use the phone, as she often cannot. A couple of weeks ago, it was reported that a large proportion of commercial websites in the UK are inaccessible to those with visual impairments; they relied on being able to use a mouse, which of course, a blind person cannot do as they cannot see the pointer. Another form of inaccessibility which I have noticed is that some websites do not display properly on mobile browsers, and some do not do so at all. This is an accessibility issue because, besides those of us who use our smartphones to browse the web while sitting in the passenger seat of a truck, some only have access to similar format devices for medical or disability-related reasons: smartphones or slightly larger tablets, some of which will always display web pages in mobile format because the browser programs identify themselves as such to the websites they access, which in turn send them the mobile version rather than the standard version. Among those often affected are people who are bedridden (Lynn Gilderdale, who was bedridden with severe ME for many years, used a PDA, which ran Windows Mobile, and later an early iPhone to access the Internet as she was unable to use a laptop, let alone a desktop computer, and I know another person with severe ME who cannot use a device bigger than a smartphone), along with some people in hospital. Quite a number of websites have pretty good mobile websites; the better ones simply present the essentials, such as the content of a news story and sized-down versions of any images, and leave out any extraneous material such as advertisements and links which aren’t directly linked to the article. Others are overblown websites which almost exactly mimic the functionality of a mobile device application, and are incredibly slow and unreliable and the text jumps up or down as it loads that last bit of content (as with Facebook’s current mobile website). The worst, however, are those which, when someone tries to access a page on a website using a mobile browser, the website simply presents the front page of the mobile website, with no obvious means of reaching the page the reader was trying to access (there smay be a search button, but the tweet containing the incoming link may not have contained enough detail, such as the name of the person who was central to the story). I’m not even going to discuss the matter of how easy it is to enter information into some forms, because I can easily wait and use a desktop or laptop, though I will say that some browsers do not help (typing text into a text field on a mobile website is easy enough, but correcting your text by moving the cursor on an Android browser is always awkward and sometimes impossible). It’s not that hard to make sure your mobile website is accessible; after all, readily available content management systems like WordPress and Drupal offer it out of the box or in a free add-on. I am no expert on how to make websites and forms fully accessible to this particular group of users, but it seems that there are a lot of clueless developers working for large corporations who produce cut-down mobile websites which are useless — modern mobile browsers are capable of delivering almost all the content a normal browser does, if a little more slowly, and use the same rendering engines (usually WebKit, the same one used by Google Chrome), unlike the very basic browsers found on the PDAs of 10 years ago. A poorly-engineered mobile version of a website is worse than having no mobile version at all, and just delivering the desktop version to everyone. This post is part of Blogging Against Disabilism Day 2012. 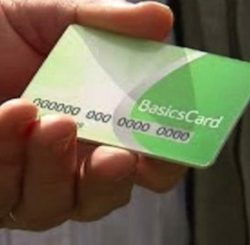 Is your family ‘troubled’ enough to get a ‘Basics Card’?